Scott Disick and Sofia Richie went shopping together in Beverly Hills yesterday. 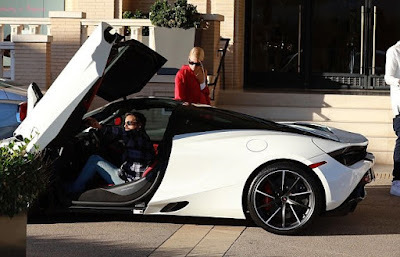 The 34-year-old reality star and the 19-year-old daughter of singer Lionel Richie rolled up in Scott's McLaren P1. Despite the age difference, and the fact Scott has three young children with ex Kourtney Kardashian, the two have been virtually inseparable for the past two months.